This article was first published in Global Water Forum on 27 February 2017. It is based on an article published in Water Policy, Vol.18, Issue S1 (2016), entitled ‘“Big Brother, Little Brothers”: Comparing China’s and India’s Transboundary River Policies’, authored by Selina Ho. Hydro-hegemons are states which assert power over other riparian states in a shared river basin. In Asia, both China and India are hydro-hegemons. China is the upstream riparian on many of Asia’s most important international rivers, including the Mekong, Brahmaputra, Sutlej, Indus, Salween, and Irrawaddy. India is middle riparian on the Brahmaputra and the Ganges, and upstream from Pakistan on the Indus and Bangladesh on the Ganges. Yet although riparian position is significant, it is not the determining factor in characterising a hydro-hegemon. In Asia, it is China’s and India’s preponderant economic, military, and demographic power that gives them significant leverage over their smaller downstream neighbours. Using case studies of the Mekong and the Ganges, this article compares China’s and India’s roles as hydro-hegemons. 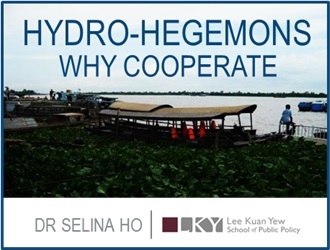 Hydro-hegemons can provide both positive and negative forms of leadership, the former leading to cooperative outcomes and the latter to conflict in transboundary river basins.1 What constrains China and India as hydro-hegemons, and under what conditions do they cooperate? China displays the negative characteristics of a hydro-hegemon when it engages in resource capture strategies by unilaterally building dams. It does not consult with the lower riparian states of the Mekong in its plans to build a cascade of eight dams along the Upper Mekong. China is not a member of the Mekong River Commission (MRC) because it does not want to be bound by the strict aquatic environmental standards and dam-building restrictions of the MRC.2 In its view, it has the sovereign right to use the waters that flow through its territories, as it desires. However, China has also displayed the characteristics of a positive hydro-hegemon by engaging in multilateral cooperation. It is a member of the Greater Mekong Sub-region (GMS), which focuses on the integration of the Mekong region through the construction of power, transport, and communication networks. Navigation is another significant area in which China has cooperated with the Mekong states. China, together with Laos, Myanmar, and Thailand, are signatories of the Lancang-Upper Mekong River Commercial Agreement, as well as a GMS agreement for a trial program to ship oil along the Mekong. In addition, it is significant that for the first time, China has initiated a Mekong forum that involves all six riparian states, known as the Lancang-Mekong River Dialogue and Cooperation. The Dialogue forms a key node of China’s Belt and Road Initiative and is also a response to the United States’ Lower Mekong Initiative. Whereas China has displayed positive leadership by cooperating in multilateral joint development projects on the Mekong, India has displayed positive leadership by signing water-sharing treaties with its riparian neighbours. In the Ganges, the Ganges and Mahakali treaties, were signed with Bangladesh and Nepal, respectively, in 1996. These treaties indicate that India is willing to concede some of its riparian rights, recognising that is not the sole proprietor of the waters that run through its territories. India has also cooperated bilaterally with both Bangladesh and Nepal on hydropower projects, and in some instances, has given free hydroelectric power or allowed its neighbours first use of the electricity produced. India has, however, shown negative leadership in other instances. Its plans for water diversion, river linkages, and dam-building activities point to a resource capture strategy. Should the National River Linking Project3 materialise, it will significantly impact India’s co- riparians. It is estimated that a 10-20% reduction in the Ganges flow into Bangladesh could dry out large areas of the country, which could result in severe economic hardship.4 India’s dams are also a source of friction with its neighbours. The Farakka Barrage, for instance, has been a major thorn in India-Bangladesh relations since it was conceived in the 1950s. Moreover, India’s water treaties are beset with problems. The 1996 Ganges Treaty with Bangladesh does not have a dispute settlement mechanism and there is no agreement on water allocation during the dry season. Little progress has also been made on implementing the 1996 Mahakali Treaty with Nepal. China arguably cooperates at a higher level in the Mekong than India in the Ganges, even though India has water-sharing treaties and China has none. The lack of multilateral cooperation on the Ganges and the problems related to India’s water-sharing treaties indicate a lower level of cooperation among riparian states of the Ganges. 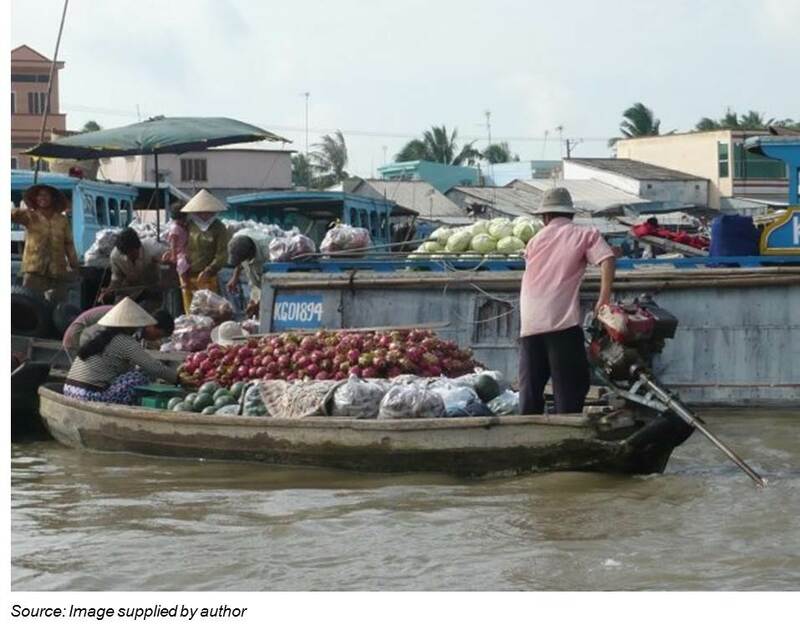 Two key factors explain the relatively higher level of cooperation in the Mekong compared to the Ganges: regional politics and domestic politics. Water politics is an extension of the larger political interplay among countries sharing rivers in a region. Hydro-hegemons are constrained by the regional context they operate in. China and India operate in very different regional theatres. Although conflicts do exist among states in Southeast Asia, there is nevertheless a high degree of interdependency and cooperation at the multilateral level. This contrasts sharply with the situation in South Asia, where states distrust each other and security dilemmas characterise regional interactions. These differences in regional context impact cooperation at the river basin level. Engagement between China and the Mekong states at the multilateral level is an extension of the already existing platforms between China and Southeast Asia. These existing platforms provide an environment that enables China to exercise positive leadership in the Mekong. Multilateral engagement between India and its co-riparians is harder to achieve as there is a lack of robust multilateral-level mechanisms among South Asian states. Water issues are not discussed in regional meetings, as they are considered too controversial and thus more appropriately dealt with bilaterally. Domestic politics – in particular, sub-national level politics – play a critical role in explaining Chinese cooperation in the Mekong as well as India’s successful signing of the Ganges treaty. China’s cooperation with the Mekong states is largely driven by the needs of Yunnan province in southwest China as well as the hydropower requirements of other Chinese provinces.2 There is a high degree of economic interdependence between Yunnan and the lower riparians of the Mekong. The GMS, for instance, is integral to developing Yunnan’s infrastructure needs, which facilitates connectivity with the Mekong states. Yunnan’s development is an integral part of the “Go West” program and will help alleviate poverty in China’s impoverished west. Yunnan is also China’s most promising hydropower site, and thus an important contributor to the energy needs of other provinces in China, particularly in energy-hungry coastal provinces such as Guangdong. 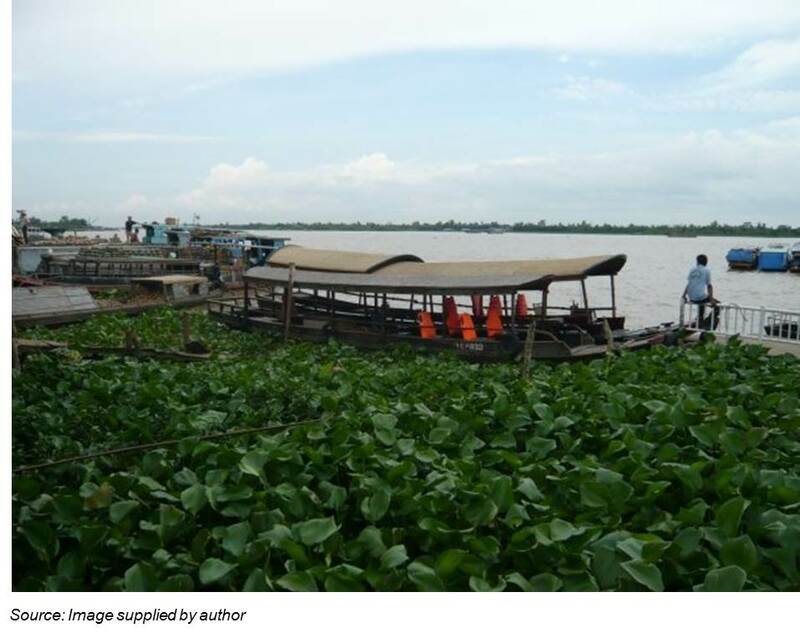 To conclude, cooperation and conflict exist on a spectrum in transboundary river basins. China and India, like most riparian states, display both the positive and negative roles of hydro-hegemons. Two major factors constrain hydro-hegemons to act in cooperative ways: regional context and domestic politics. Cooperation at the river basin level is usually an extension of broader engagement among riparian states at the regional level. Riparian states are also driven by domestic factors to cooperate, particularly when there are economic and strategic gains for sub-national governments. i In 2010, a draft agreement on sharing the waters of the Teesta River between India and Bangladesh, which would have formed the basis of an interim agreement on the Teesta, was prepared but the deal fell through during then Indian Prime Minister Manmohan Singh’s visit to Dhaka in 2011. The Chief Minister of West Bengal, Mamata Banerjee, withdrew from the visit and refused to support the interim agreement, protesting that her government was not sufficiently consulted on the allocation of water. 1 See Zeitoun, M. and Warner, J. (2006). Hydro-hegemon – a framework for analysis of trans-boundary water conflicts. Water Policy, 8, 435-460. 2 Ho, Selina. (2014). River politics: China’s policies in the Mekong and the Brahmaputra in comparative perspective. Journal of Contemporary China, 23:85, 1-20. 3 The National River Linking Project plans to link 37 rivers through 31 links with 9,000 kilometers of canal in order to divert flows from the Ganges and the Brahmaputra rivers to the water-scarce regions of western and central India. 4 Misra, A.K., Saxena, A., Yaduvanshi, M., Mishra, A., Bhadauriya, Y., and Thakur, A. (2007). Proposed river-linking project of India: a boon or bane to nature. Environmental Geology, 51, 1361-1376. 5 Hossain, I. (2010). Bangladesh-India relations: the Ganges water-sharing treaty and beyond. Asian Affairs: An American Review, 25(3), 131-150. Selina Ho is Assistant Professor at the Lee Kuan Yew School of Public Policy, National University of Singapore. She specializes in Chinese politics and foreign policy, with a focus on resources and infrastructures. Her book, Thirsty Cities: Social Contracts and Public Goods Provision in China and India, is under contract with Cambridge University Press and is expected to be published in Sep/Oct 2018. She is simultaneously working on a book project funded by the Smith Richardson Foundation on China's construction of a high-speed railway from Kunming to Singapore. She has also published several peer-reviewed journal articles and book chapters on China's international rivers. Selina has been appointed a Global Futures Council Fellow (Regional Governance) with the World Economic Forum from September 2017 to September 2018. Selina received her Ph.D. from The Paul H. Nitze School of Advanced International Studies (SAIS), Johns Hopkins University, where she also received a Masters in International Public Policy (Honours). She did her undergraduate studies at the National University of Singapore, graduating with a B.A. in History (Honours). She was a Singapore public servant before joining academia.